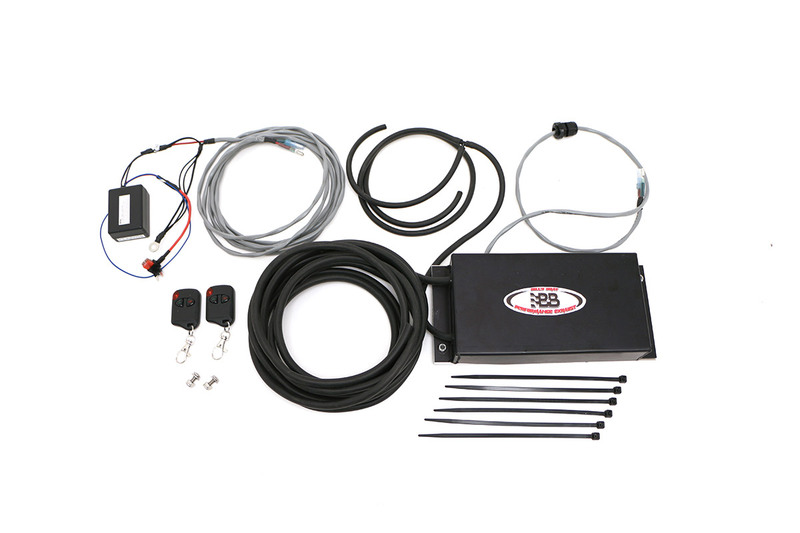 Features: Chevy C6 Corvette Fusion Exhaust Retro Control Kit #FCOR-0468. *Required for non-NPP vehicles installing a BBE Fusion Exhaust System. Corvette Fusion Exhaust Retro Control Kit. Billy Boat Performance Exhaust has spent months developing a stand-alone "retro" kit which allows any C6 to take advantage of the bi-modal system. The kit comes complete with all the wiring, remote switch, vacuum line, vacuum accumulator, and vacuum switch needed for installation. We have used the engine as the vacuum source (it is the same port the factory uses for the NPP) and the installation is simple and straight forward. Billy Boat Performance Exhaust has spent months developing a stand-alone "retro" kit which allows any C6 to take advantage of the bi-modal system. The kit comes complete with all the wiring, remote switch, vacuum line, vacuum accumulator, and vacuum switch needed for installation. We have used the engine as the vacuum source (it is the same port the factory uses for the NPP) and the installation is simple and straight forward.